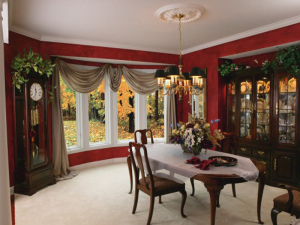 All Renewal by Andersen® windows and doors are custom manufactured to fit your home perfectly. Before they’re ordered or installed, we send a technician to accurately measure each opening. 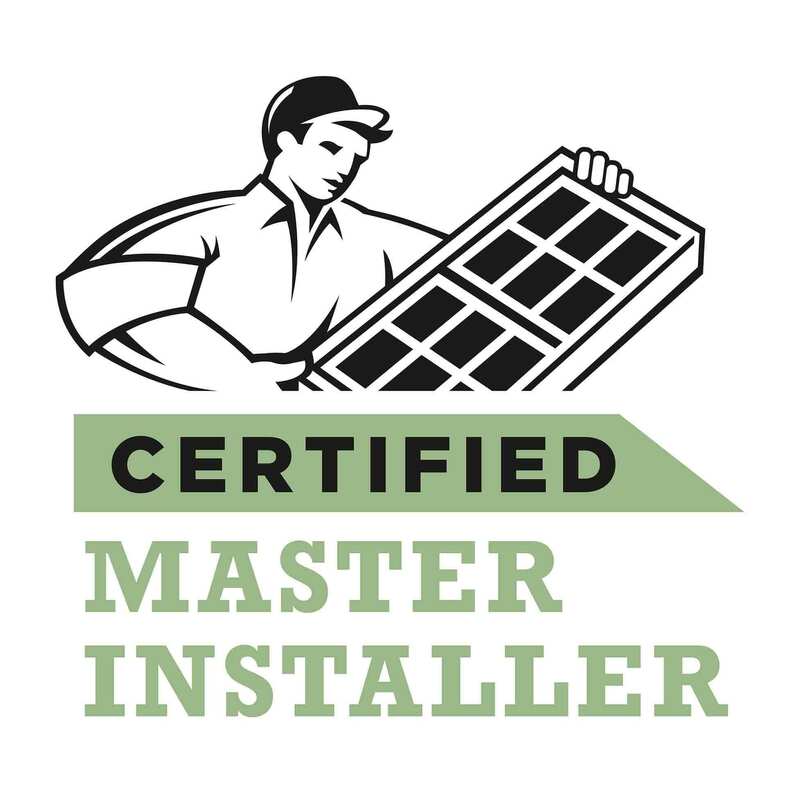 Any installation variables like rot and mold are noted so the installers have what’s needed to professionally complete the job when your windows arrive. The Renewal by Andersen® truck rolls up. This truck is a self-contained workshop. Everything the installers need for your window or door project, including a power supply for their tools, is inside. They won’t use your electricity, or drag any equipment onto your lawn. The installers inspect the job site. They make sure they have all the tools and materials they need. They inspect your new replacement windows. If there is any damage, they’re returned and replaced with new ones. They carefully move any furniture, window treatments, or valuables away from the windows or doors (if you haven’t already done so yourself). They lay drop cloths around inside work areas to protect your floors. They even wear booties to minimize tracking dirt or mud into your home. Out with the old. Using a pry bar and hammer, the installers work together to remove your old windows. They insert a wood block beneath the pry bar to protect your drywall. Once loosened from the opening, they gently lift the old window out and place it on the ground. Note: If your old window is made of aluminum, it will be recycled and the proceeds donated to charity. Old wood windows with ropes and pulleys may be donated to area schools for art projects. In with the new. Your new windows are moved from the truck and set into the openings. Because a window or door must to be level to open and close smoothly, and your house may have settled over the years, creating an un-level opening, replacement windows are made slightly smaller than your original windows. It gives the installers wiggle room. If a window doesn’t sit just right, our installers will insert shims between the wall and the frame until the fit is perfect. Once level, they make sure the individual sashes of the window operate properly and close tight. Then they screw your window into the studs of the house to prevent it from bending or bowing. 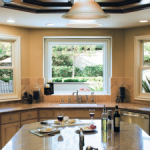 There will be a small gap between your new replacement window and the frame of your house. Your installers fill this gap with insulating foam specially designed for Andersen FIBREX™ windows or doors. It gently expands and fills any space left from the installation. Once the foam is in place, your window will have an airtight seal that helps keep your energy costs down and your house at a comfortable temperature year round. Although the foam insulates your home, it’s not pretty. Your installer will cover it with precisely cut and bent aluminum trim coil manufactured to match the color of your windows. The trim coil is affixed to the window with durable caulk, also made to match your window color, and formulated to resist flaking, cracking, and mold growth. Now your window has a weather tight seal. No water can seep under the window or trim coil to damage the underlying surface of your house ever again. The final step. Each window is covered with a sheet of plastic to protect it during the staining or painting process, and during delivery. The plastic film is removed, and your installers clean each of your new replacement windows. They remove any fingerprints or dirt; shine the glass, and vacuum the window tracks. Then they vacuum the inside of your home, clean up any debris left outside, inspect your windows one more time, move your furniture back, and re-hang any blinds or curtains that were taken down.